High cholesterol, and its treatment with statins, has been a hallmark of cardiovascular disease management for decades. Many people worry about their cholesterol because they feel they have to, based on drug companies and the media bombarding us with the impression there is a one to one linkage between elevated blood fats and arteriosclerosis. The benefits, side-effects, and even the worthiness of taking statins have been under constant attack in recent years. One of the side-effects reports, statins negative influence on soft tissue, namely tendons and ligaments, will be the focus of this article. In their experimental study, the researchers designed a plan to evaluate and compare the biomechanical and histopathological (tissue damaging) effects of the three most commonly prescribed statins (simvastatin, atorvastatin and rosuvastatin) on the Achilles tendon in rats. Statins were given to the rats at daily doses of 20 and 40 mg/kg for 3 weeks. One week later, the Achilles tendons were dissected and their biomechanical properties, including ultimate tensile force, yield force and elastic modulus, were determined. All the statins caused deterioration of the biomechanical parameters of the Achilles tendon. Histopathological (tissue damage) analysis demonstrated foci of dystrophic calcification (the calcification of dead and dying soft tissue) in the statin-treated groups. So if you are elderly, statins may have a beneficial effect on your heart disease, but at the cost of destroying tendons. Certainly there must be a non-pharmaceutical way. University hospital researchers in Brazil writing in the Canadian journal of physiology and pharmacology also discuss the alarming number of cases of tendon injuries associated with statin therapy reported over the past few years. In this study, this study the researchers assessed whether statins can affect the extracellular matrix (ECM) of the deep digital flexor tendon (finger tendons in humans) and the patellar tendon. Wistar rats were assigned to groups treated with atorvastatin (A20, A80), treated with simvastatin (S20, S80), and control. Findings: Both the statins provoked marked changes in both tendons. All these changes may make the tendons more prone to microdamage and ruptures. Therefore, a better understanding of the behavior of the tendon ECM components under statin therapy may provide important insights into the mechanisms behind statin-induced tendon injuries. Researcher Pernilla Eliasson who is affiliated with the University of Copenhagen, Linköping University, Sweden, and the University of Rochester in New York lead a team of researchers looking at the complexity of Simvastatin and atorvastatin and its relationship with tendon damage. The research appearing in the on-line medical journal PLOS examined the theory that Simvastatin and atorvastatin may have different potential for negative effects on tendons. Atorvastatin has been pointed out as one of the most harmful statins for tendon tissue while simvastatin has appeared with mixed findings. Some studies indicate that simvastatin has a negative impact on tendon tissue, while other studies suggest that simvastatin might even have a positive effect. Both atorvastatin and simvastatin had a negative effect on the tendon constructs in our study, however, the effect of simvastatin was in fact stronger and more pronounced. This indicates that simvastatin indeed is harmful for tendon tissue and its extracellular matrix. However, high dose atorvastatin treatment was the only treatment which had an effect on collagen content, and this was reduced by 22% compared to controls. Simvastatin had no effect on the collagen content to the researcher’s surprise. This indicates that there might be some differences in the mechanism of action on human tendon cells and extracellular matrix between these two statins. 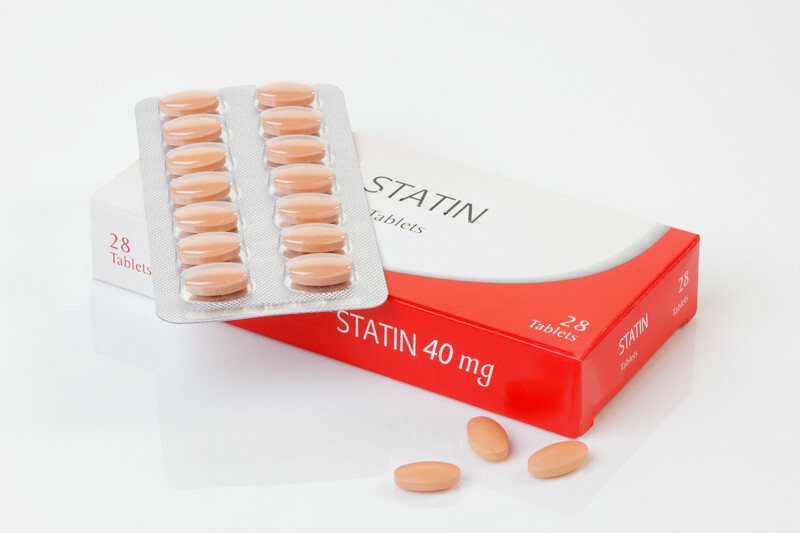 The range of the dosage of the two statins in clinical settings is similar, though the average dose for atorvastatin is slightly lower than the average dose for simvastatin. Questioning knee replacement | Is it the wrong operation? This is very intetesting. As a massage therapist I will be able to take this into account when dealing with clients on statins.